VLC Does Not Support UNDF Format is a general issue in VLC. VLC player is one of the most used media players among both Windows and Mac users. The best thing about VLC media player is that its an open source application, i.e., you can use all its features without spending a penny. It plays almost all sorts of media in practically every other format. And even if it doesn’t, there’s always a codec for the same. However, if you’re a frequent user, you might have come across an error such as ‘VLC doesn’t support UNDF format or No suitable decoder module.’ Its one of the most common problem faced by the users. This problem usually occurs when you play any recently downloaded or moved file from in your computer. The same time, this issue can have a wide range of causes, and when it occurs, you need to hit a try on everything to fix it. UNDF is nothing but an error code which means the file you are trying to open has an undefined file format. When VLC player shows it, it means that the VLC player is unable to recognize the file format. There’s no specific answer to why it happens, but it primarily occurs due to the lack of codec support to play the particular file. If you are facing the same problem with your VLC player, no need to worry because you are at just the right place. Here, in this guide, you will learn different solutions you can try out to fix the same. But let me give you a little bit of background about what you are dealing with. What Causes VLC does not support UNDF Format Error? As I said, there is no specific answer to why it occurs. When VLC shows the UNDF error, it could be because of either reason. First of all, it mostly occurs because of the corrupted or incomplete files. There is a wide range of the causes. It also includes the source and the website where you downloaded the file from. Another reason could be that maybe the file didn’t get download entirely or it gets disturbed by some error. If you have copied the file in your system, maybe it didn’t get copied accurately. As I said, there’s a wide range of possibility, and therefore you need to try every possible way to fix it. 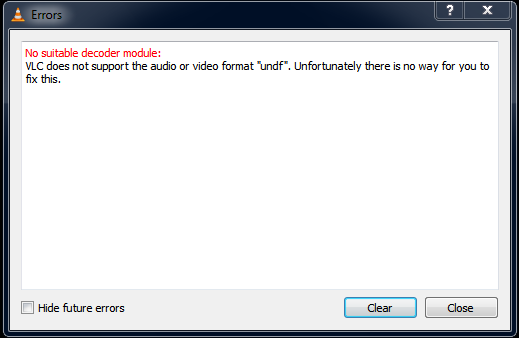 The second common cause of VLC UNDF error is the lack of codec. There might be a specific code requires to open the file which might not support the media player. In that case, you will have to download the necessary codec which might seem impossible. But don’t you worry. You’ll learn how to fix that in that article. How to Fix VLC does not support UNDF Format? So, let’s start with the solutions. They are very basic and straightforward. You just need a little knowledge of the first two methods. But if you are new to the computer system, you can always go with the 3rd method. If your VLC player shows the UNFD error while opening a file, the first thing you should do is check if the file is okay or not. There might be bugs present in the folder, or even the whole file might happen to corrupt. It depends on the several factors including the site where you downloaded it from. Also, make sure that the file is completely downloaded. Because if it’s not, it an error to the software. In that case, it wouldn’t open as the file is incomplete. If your file is alright, then the second thing you can try is updating your VLC media player. 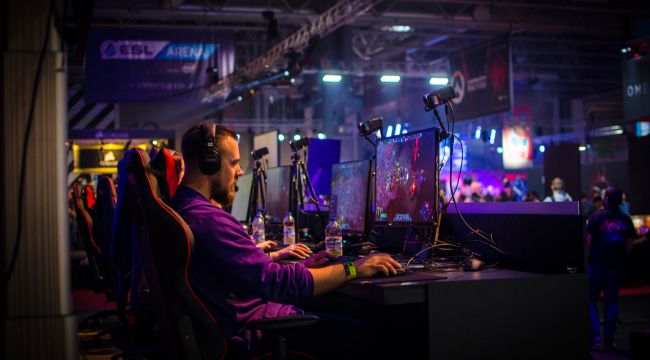 New bugs and virus are created every day, so it becomes essential to keep your software and devices updated to protect them from the malware. 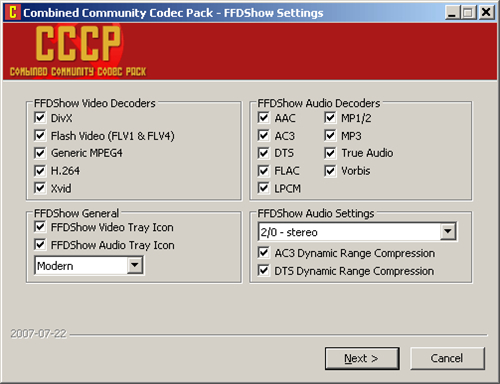 The latest update always comes with the new codec support which includes some of the recently developed codecs too. It also comes bugs fixed. It eliminates most of the causes of UNDF files. 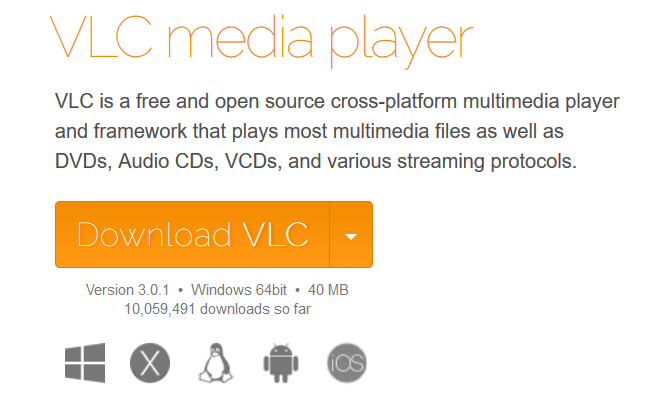 Simply, navigate to the official website & download the latest version of VLC media player. It is the software which highly recommends for fixing UNDF errors. As you have learned earlier, the error VLC does not support UNDF format occurs due to the lack of video or audio codecs. If the file you are trying to open requires a format which VLC doesn’t support, you will get this error. So, to fix it, you need to download the necessary codec. But the problem is that it’s complicated to figure out which codec is missing to run the file. 1. 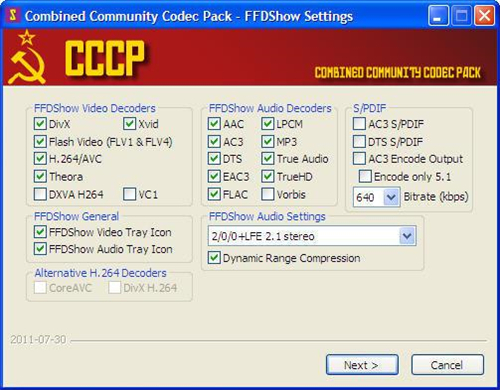 Download Combine Community Codec Pack on your system. 2. Now, just install it on your Computer & do the same as shown in the image below. 3. Run the file again in your VLC media player & you’re good to go. 1. Right-click on the file & choose Open with MPC-HC. That’s it. The data will open smoothly without any issue. These were the best suitable solution to the UNDF error. If you are annoyed with VLC does not support UNDF error, get up and try out these methods. And if nothing works, go with the third method. I would recommend it anyway because it’s like the all in one solution for all such problems. I’m sure it’ll work for you. I hope this tutorial was helpful to you. 1 What does UNDF Mean? 1.1 What Causes VLC does not support UNDF Format Error? 2 How to Fix VLC does not support UNDF Format? Anyone here who abled to fix VLC Does Not Support UNDF Format error using above steps? I tried by no luck.